It was never Nora Portugal’s ambition to run her own restaurant in Philadelphia. Back in her native Peru, she spent her early years studying hospitality management with the hopes of finding a job in the local food industry. But after a cultural exchange program brought her to Philadelphia, she decided to develop her career here. Portugal finished up her hospitality management studies at Montgomery Community College then took a role as a Pantry Chef at the William Penn Inn. “I fell in love with the culinary career,” said Portugal. 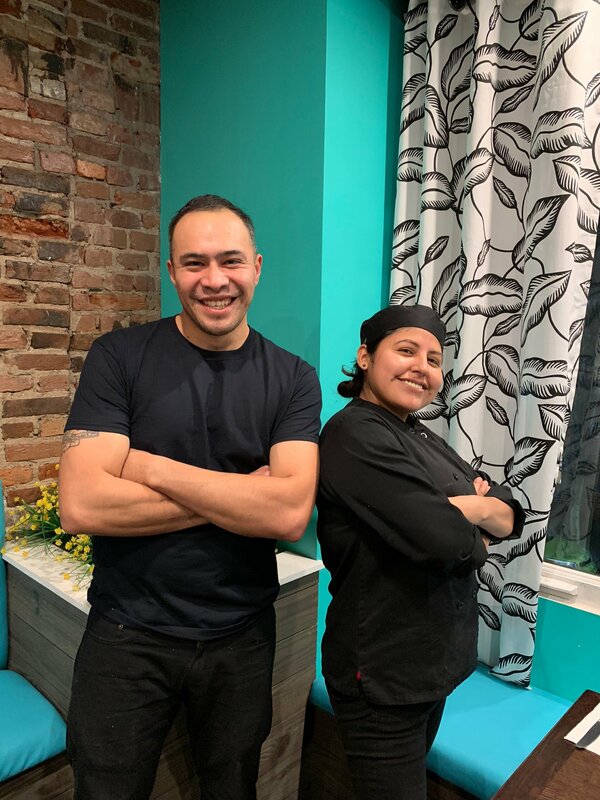 After several more stints working at restaurants in the Philly suburbs, she, alongside her husband, Luis, who is originally from Mexico City, decided to open up their own food cart near the University of Pennsylvania in 2015. The idea for the cart was to recreate Mexican dishes that Luis missed from home. The first few months were hard. They had lost their steady paychecks from their previous jobs and they still had to develop a reliable customer base. But within two months word spread and the lines around lunchtime grew so long that they ran out of food. After this successful experience, the couple decided to build their business by opening their own permanent restaurant closer to the city center. Nora’s Mexican Kitchen, now in its third year, offers a modern take on traditional Mexican food. They emphasize fresh quality ingredients and want to serve healthy options that are not common in Mexican cuisine. A good example of Portugal’s healthy take on Mexican food is the Chicken Breast with Mole. Seared chicken breast is served covered in Mole sauce alongside rice, kale, nopales and butternut squash. The chicken is tender and the veggies leave you feeling good after. Of course, there are more traditional dishes like quesadillas, tortas, enchiladas and tacos. I tried the taco sampler which includes chicken, steak, al pastor, shrimp and fish tacos. They were all tasty, but my favorites were the shrimp and fish. If you are a vegetarian they also offer a zucchini medley taco (sauteed zucchini with onion, bell peppers, corn, tomatoes topped with lettuce, cheese and pico de gallo). On Tuesdays, tacos are each $2. Going forward, Portugal hopes to grow their customer base at the restaurant as well as add another restaurant with Peruvian cuisine. She wants to help promote local businesses in the area that struggle to stay open. 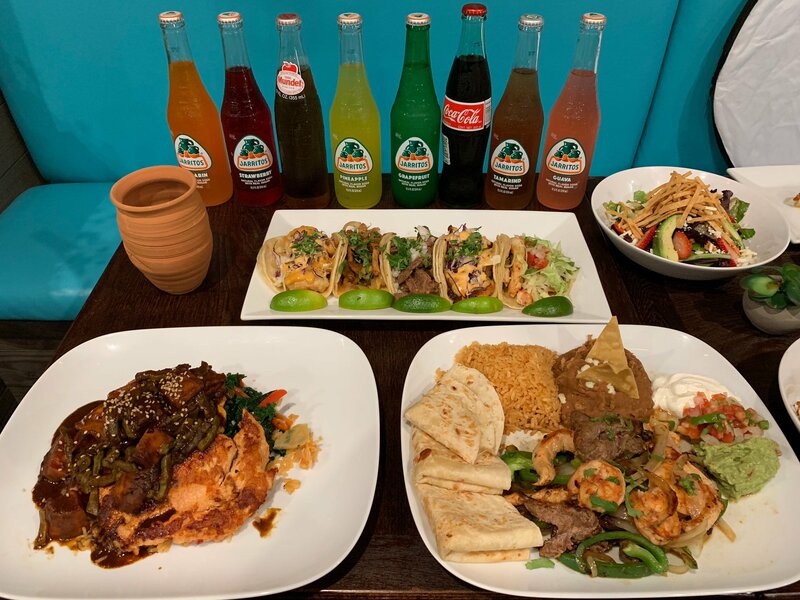 For more information about Nora’s Mexican Kitchen, check out their Facebook or Instagram @noras_kitchen_. They are currently working on their website http://www.norasmexicankitchen.com/. You can order their food online via GrubHub or UberEats. Address: 248 South St, Philadelphia, PA 19147. Hours: Sunday - Thursday 11am to 10pm, Friday - Saturday 11am - 11pm. Prices: $5 - $19.